JediAmanda is an opera singer with a passion for video games. 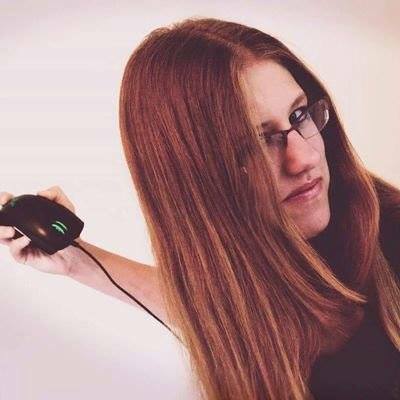 She is the host of "Beyond the Game" where she interviews musicians and reviews video game music. Among those she has interviewed includes Professor Shyguy and the famous composer Darren Korb. She currently resides in Maryland where she sings with the Washington Metropolitan Gamer Symphony Orchestra, as a soprano, as well as other ensembles. Her biggest dream has been to have her singing featured in video games. She has been asked by Ellen McClain to sing at her panel at MAGFest, as well as singing at PAX West where she showcased just how well she can perform with a group of people who have never met, as well as how high she can go! When not performing, or recording her own shows, she is streaming on her Twitch! Stop by and say hello!